As fight fans know, there were two big Pay-Per-View cards going head-to-head in the UK last night: the Dillian Whyte-Dereck Chisora return which went out on Sky Sports, and the Josh Warrington-Carl Frampton clash which went out on BT Sports. Both fights delivered in truly epic proportions; the heavyweight fight being the war it was advertised as, the featherweight collision being one of the most relentless and thrilling battles ever seen between the little men of the sport. Warren went further still, stating how in his opinion last night’s 12-rounds of 126 pound action was even more action-packed than the legendary Erik Morales-Marco Antonio Barrera fight down at super-bantamweight (Warren co-promoting this 2000 fight, along with Bob Arum). There is no doubt, Warrington and Frampton gave us something special last night. But then so did Whyte and Chisora. We now have two solid contenders for this year’s Fight Of The Year award. In a way, it’s a shame these two incredible fights went head-to-head. For though fans who bought either fight got more than their share in terms of value for money, those who saw Fight-A missed out on seeing Fight-B. 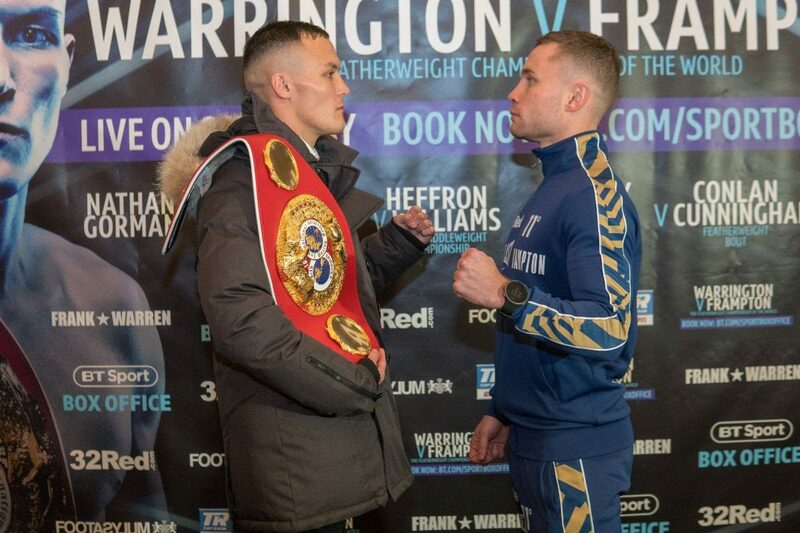 Make no mistake, fans who missed Warrington-Frampton will be frantically searching You Tube today, in the hopes of being able to watch what they have read about, and vice versa. Two huge cards, two sizzling fights. But can the rival promoters possibly work together in the future, or is this simply too much to ask? Previous boxing news: What Now For Dereck Chisora? Next boxing news: Dillian Whyte Does A Job On Chisora – And In Selling A Rematch With Anthony Joshua?